A quick meal idea for good low calorie cooking eats with Japanese food recipes to kick-start your diet on the right foot. 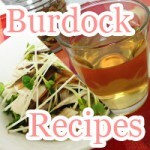 Tofu pancakes, shirataki, green fruit smoothies, and much more. Japanese food recipeshave been around for some time, but as for quick meal ideas for something just to get you by until your next meal without thinking, not so much. Combining low calorie cookingwith mostly Japanese-style dishes you can do both satisfy your hunger with something new and eat thinking less about calories. What are some good Japanese food recipes that even beginners can make easily? In this next roundup of Slism we will introduce some premier Japanese food recipes that making low calorie cooking easy even for people just starting out in their diet. 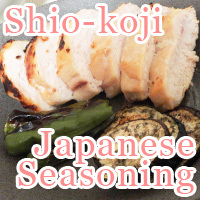 Shio-koji to be exact may not be low calorie cooking but as far as Japanese food recipes goes makes it easy to pick up quick meal ideas such as Japanese-style chicken marinade using Shiokoji to make what was hard soft melting in your mouth as your eat healthy. All you need to make Shiokoji for marinating chicken is rice malt, water and salt. Mix it up and let it sit while periodically checking giving it a good stir and there you have it, salted rice malt chicken marinade for the family to gobble up. 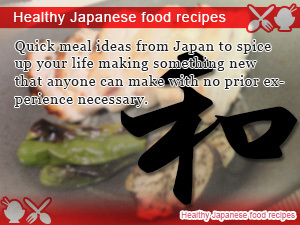 Read more for step by step easy to follow to follow instructions for beginners trying out Japanese food recipes. Here's a quick meal idea to try out, low calorie ramen. Low calorie ramen, I thought Japanese food recipes were supposed to be good for you not make you fat. Isn't that just like asking to put on the freshmen-15 all over again? That would be the case if you were making ordinary ramen. Here we going to show your how to make a bowl of low calorie ramen using the miracle of shirataki noodles stepping into low calorie cooking. For beginners looking for ways to reduce calorie intake without getting rid of the foods you love so much and can't live without. Japanese fried noodles in sauce are not low calorie. However, that doesn't mean with a little alteration and low calorie cooking it can't be. 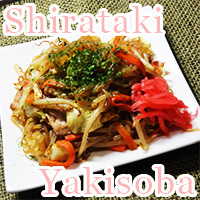 Here we introduce more quick Japanese food meal idea recipes including shirataki yakisoba. Where regular yakisoba contains more than 700 calories per serving, making yakisoba with shirataki cuts down calories to an innocent 209 calories per serving that even for beginners can be prepared in minutes. If you like yakisoba, then you are going to love shirataki yakisoba because not only does it taste great but is also low in calories costing you little effort trying to make up in exercise for what you eat. Before you think about why we are trying to improve upon already low-GI pasta with low calorie cooking, think about shirataki. The fact that shirataki noodles comes with literally no calories give us hope that there will always be areas to improve even if they are just quick meal ideas. 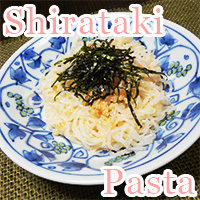 Japanese food recipes such as shirataki pasta for beginners and advanced dieters alike gives you the tools you need to make the way you eat become a serious catalyst for bringing out the true potential of weight loss in your diet to the max. No stone was left unturned when coming up with this recipe for pasta using miracle shirataki noodles. Let's hope that it taste as good as 126 calories per serving sounds to your ears. In the pasta, salad dressing was always thought as something you could take out of your salad to reduce calories in your diet. That's one option. Another is making up a fresh batch oil free salad dressing the Japanese way. 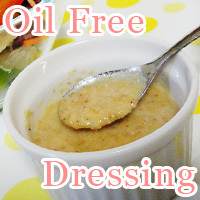 Using similar techniques used in many Japanese dishes, you can make homemade salad dressing easy in minutes not sparing a second until you enjoy the benefits of oil free dressing in your diet. Add the extra zing you've been looking to put in your home-cooked meals with Japanese-style dressing that makes you feel abroad when sitting at home enjoying your favorite salad. 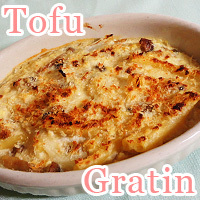 Making up a platter of gratin using tofu is a great meal idea that helps you cook for many without throwing away at low calorie cooking to keep the family looking thin and happy about their weight. Compared to contemporary recipes for gratin you will find in many French cuisine cookbooks making gratin with tofu takes the cake as the lowest calorie gratin recipe just yet. With only 253 calories per serving tofu gratin leaves room for desert. No low calorie cooking cheat sheet would be without tofu gratin for quick meal ideas to help you reduce calories in your diet eating the foods you like for a balanced diet everyone in the family will surely love. When you eat pancakes for breakfast everyday some things got to give. Whether that be your appetite for eating pancakes or a bulge forming around you stomach, the best solution may be low calorie cooking quick meal ideas to mix it up a little keeping your breakfast option fresh as vegetables being sold at the Saturday market. Making up a batch of tofu pancakes not only gives you a break from the conventional mix-it and biscuit pancakes mixes readily available at your local grocery store but comes with fewer calories, meaning more room for a bowl of healthy fruit after stuffing your belly till it feels just right. At first, tofu in your pancakes doesn't sound that good at all. However, once you've tried it possibly adding a little touch of yourself, you will love starting your morning on low-calorie tofu pancakes for breakfast. A list of Japanese food recipes would not be complete without including a recipe for chicken Soboro with tofu giving you something to put on top of that rice when you eating your favorite bowl of rice. Tofu chicken Soboro makes an excellent quick meal idea for times when you are wondering what would make a bowl of rice taste so much better than just adding soy sauce. 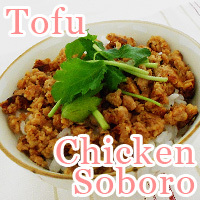 Making chicken Soboro with tofu makes a great low calorie cooking solution for chicken Soboro, a food originally fatty full of tons of calories you don't want to worry about after eating. When you are always on the run rushing out the door in the morning mixing up a green fruit smoothie helps you get breakfast in without sparing a minute to return to your busy life on the go. Incorporating ingredients using in many Japanese food recipes, Slism helps you make your first fruit smoothie topped with green vegetables for the taste of fruit with the feel of Aojiru. 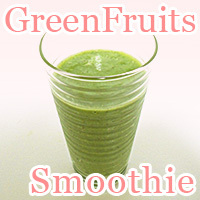 Keep on smoothie-ing with tips for turning making green fruit smoothies into a daily habit giving you vitamins and minerals that are going to take you for in lifelong health and fitness keeping your ingredients fresh as ever. Pancakes don’t taste the same way they used to after finding out how much calories you eat? 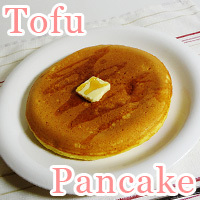 Take another bite out of the tree of knowledge and start using tofu to make your pancakes. Tofu pancakes not only taste the same but under 400 calories. Low calorie recipes for otherwise fat foods. Quick meal ideas from Japan to spice up your life making something new that anyone can make with no prior experience necessary. 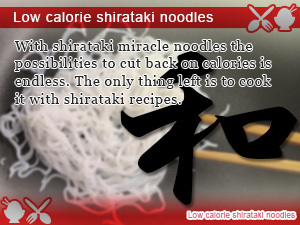 With shirataki miracle noodles the possibilities to cut back on calories is endless. The only thing left is to cook it with shirataki recipes. 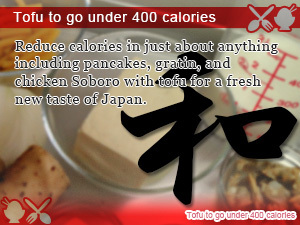 Reduce calories in just about anything including pancakes, gratin, and chicken Soboro with tofu for a fresh new taste of Japan.